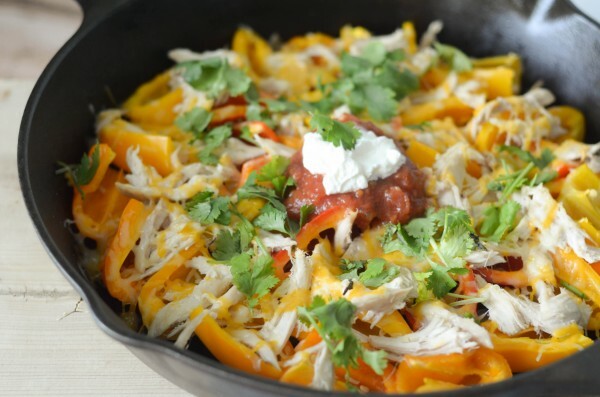 This dish is so easy to make and completely delicious plus, it makes for great leftovers. I love cooking with honey, such a great sweetness especially with our Roark Acres Honey we feature in our sales, made right here in Tulsa. We also sell local, non-GMO chicken from 413 Farm, I don’t miss a chance to cook with local foods. One of the things I love most about our produce co-op is being able to try out new things, this is a recipe I would never have thought to make 3 years ago. I was always too busy to eat healthy, grabbed whatever box food I could find and threw it on the table as fast as I could. It might have saved me time but it cost me a lot, it cost my health and even though it was cheap to buy, the doctor bills weren’t cheap at all. Needless to say, I turned things around. Now, I own The Produce Gathering and I think about every single thing I eat all the time. I know where my food comes from and I know what my family is eating. This is a very easy recipe to make and can be made quickly if you’re in a hurry plus, like I said earlier, it will keep for a few days too. I used gluten free soy sauce which kept my sauce from getting very thick, if you use regular soy sauce, you’ll get a thicker version, just a heads up. First, cook the cut chicken over medium heat in a pan. I coated my chicken with olive oil, salt and pepper first but you don’t have to do that if you don’t want to, that’s just how I cook my chicken. In a separate bowl, mix together the soy sauce, honey, crushed garlic and sesame seeds. Pour over the chicken and cook until thickened. Then, remove the chicken from the pan leaving the sauce. Throw in the sliced onion, bell peppers and broccoli. Cover the pan and cook the veggies until soft, this took about 4 minutes or so. Place the rice on a plate, cover with chicken and pour on your veggies with sauce. Garnish with sliced green onions and sesame seeds. I’m telling you, this one is delicious! This is AMAZING! With Tiffany’s Weekly Meal Plans, you get full recipes plus, a grocery list to go with it. Simple, easy and delicious. You can choose from the Traditional Weekly Menu Plan, the Slow Cooker Weekly Menu Plan and the Whole Food Weekly Menu Plan. You even get 15 minute meals for those super busy nights! Weekly Meal Plans take the thinking right out of menu planning, you don’t have to worry about it. You can pick the meals that work great for your family, grab your grocery list and go. That’s it. Family meals are important and now, half the work is done for you! Each week has 6 meals and 1 dessert, perfect for any family. Below is an example of a meal plan, along with this list you’ll get the full recipes and full grocery list. Deal Details: Deal applies to the 12 month option, you’ll save $11 with the code BIRTHDAY at checkout. You will get 12 months of meal plans, grocery lists and recipes for only $49! That is HUGE! Hurry, this deal expires 9/19/16. I firmly believe eating healthy should taste good. I think many times people struggle with it simply because they haven’t found the right recipes. Thankfully, since the invention of the internet, amazing, healthy recipes are at our fingertips. 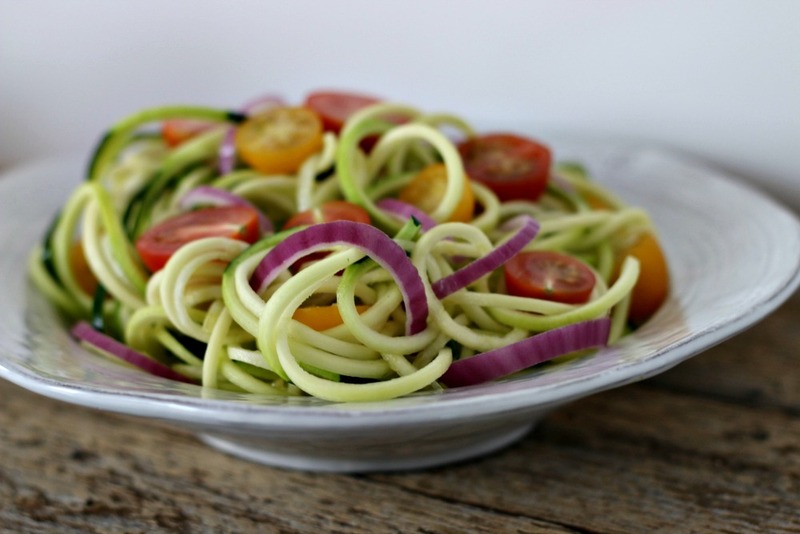 Those recipes even include twists and turns on old favorites such as pasta! 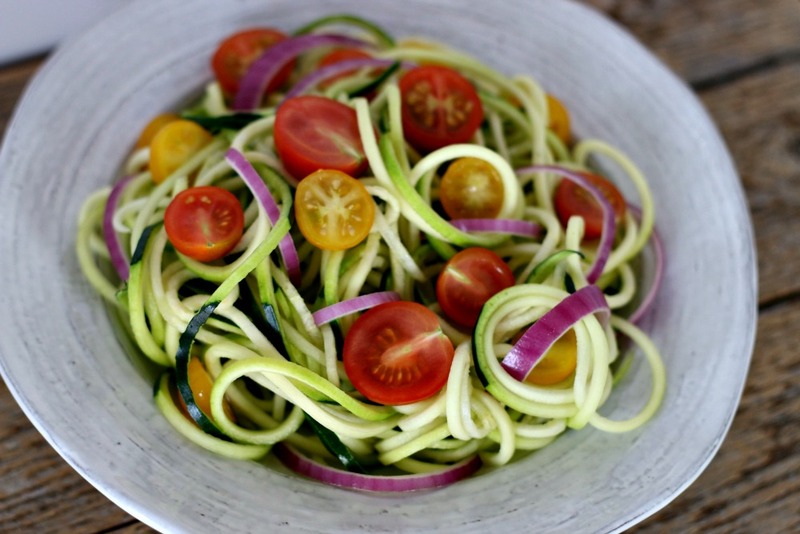 I’m a HUGE fan of zucchini noodles or zoodles as they are sometimes called. They are super easy and unbelievably interchangeable with your favorite pasta dish. Recently, I decided to try out a new recipe. This is so quick, you’ll have a great dinner in literally minutes. Plus, it refrigerates well so you can take it for lunch the next day too! 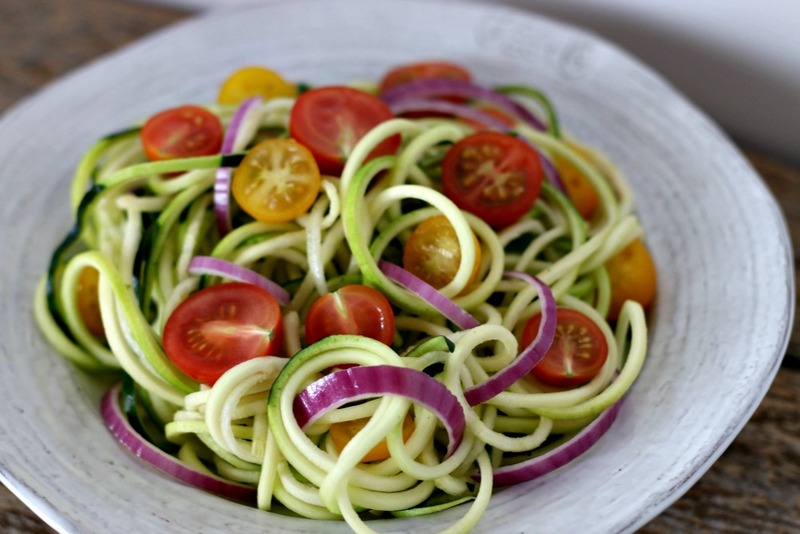 Directions: Using a spiralizer, make zucchini noodles and slice the tomatoes. Heat the oil in a skillet along with the minced garlic and onion or leeks. Once cooked (translucent), add in your noodles. Since this is not pasta, you do not have let them cook for a long period of time. We are mainly trying to heat them up. Make sure the pasta is evenly coated with the oil, garlic and onion mixture and after about 2-3 minutes, the pasta is done! Now, transfer to a dish and add in your sliced tomatoes and sliced yellow squash if desired. Done! It’s that simple and healthy! For more recipes and tips just like this, visit ShapeYourFutureOk.com. See my video on instagram! A New Year is nearly here and I’m ready for it! If you’re like me, you are probably thinking about the past year and setting goals for the upcoming year. Hopefully, those goals include getting healthy and staying fit. I have spent the last 3 years on a health journey, developing a lifestyle of healthy living which includes eating healthy, exercising and getting plenty of rest. A New Year gives us all a chance to start over and go in a new direction. For many, that means eating healthy. But, why wait for the New Year? If you are heading out to a party or if you are throwing a New Year’s party, give yourself healthy choices! 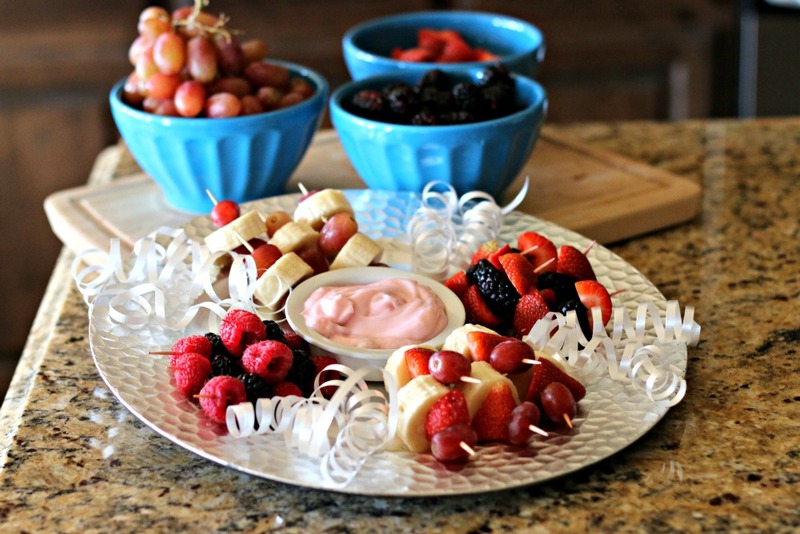 It’s easy to make a fruit tray with toothpicks and your favorite berries, make a simple fruit dip with yogurt. 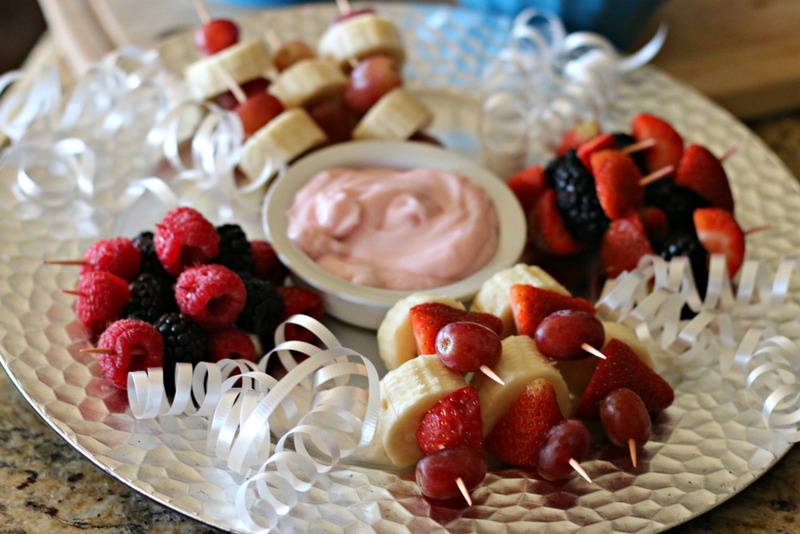 Or, make your own fruit skewers. 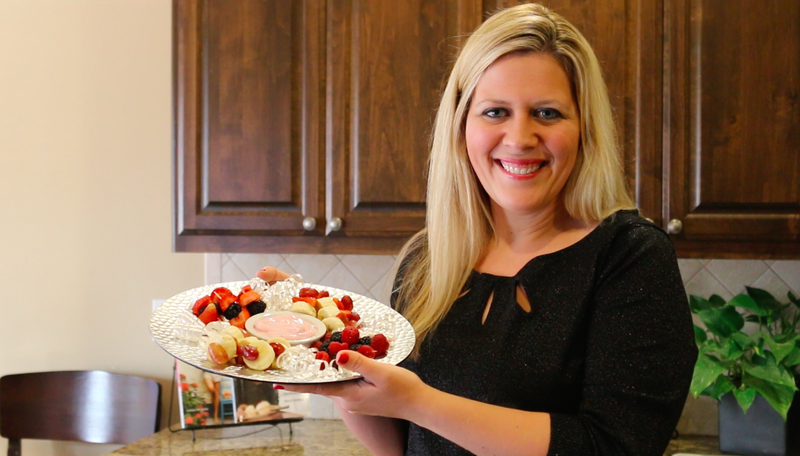 There are so many ways to create your own healthy choices while still enjoying a great time on New Year’s! I love holding the get togethers at my own home, that way, I control the food. I am gluten free also, so I love being able to create food choices that I can actually eat. For veggies, create veggie cups with a low fat dip at the bottom and sticks of veggies such as carrots, celery, peppers, etc. Delicious! Need a low calorie drink? Try adding your favorite berries to sparkling water! It’s cute, festive and fun without the calories. Start the New Year right now, make healthy choices by creating healthy choices. Here’s to a wonderful and healthy 2016! For more information, visit ShapeYourFutureOK.com.